New York researchers are planning to release genetically engineered insects on a cabbage patch at Cornell’s Agricultural Experimentation Station 160 miles from Albany. The insects are an attempt to control invasive diamondback moths without using pesticides. Diamondback moths are known for their resistance to every pesticide and their appetite for cruciferous crops such as cabbage and broccoli. Anthony Shelton, a Cornell University researcher, has been studying diamondback moths for 40 years. He estimates global management costs to be between $4-5 billion. Shelton is hoping to manage the moths without using insecticides to protect pollinators and other non-target insects. 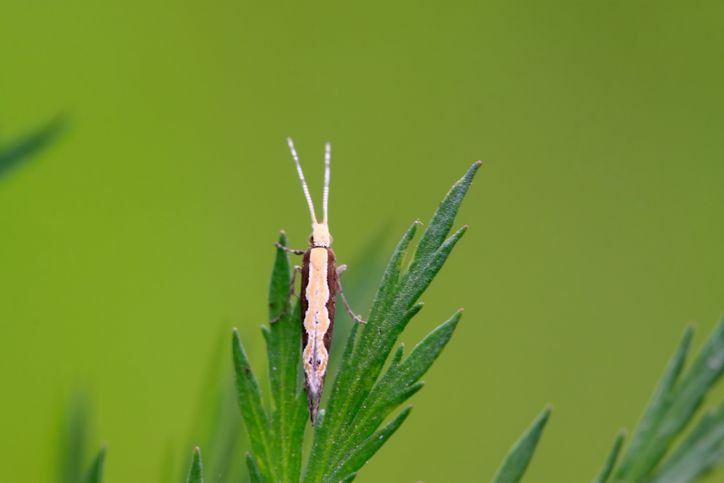 The genetically engineered moths are meant to reduce the diamondback moth population over time by limiting the number of reproductive females in the next generation. To meet this end, the lab-bred males have a synthetic “self-limiting” gene that makes the female larvae die before they mature. This form of population control has already been successfully used by Oxitec, the biotech firm that created the moths. Oxitec released similarly modified mosquitoes in Brazil, Panama, and the Caribbean to fight mosquito-spread diseases. This entry was posted in Pesticide and tagged Pesticide news.